This Driver’s Seat post is from Emma Dismukes, a driver who joined our team in March 2015. I joined the Lovin’ Spoonfuls team almost 8 months ago in an effort to help alleviate and spread awareness of the effects of food waste on the environment. The food that I help reroute to people in need would have otherwise been tossed into a dumpster and sent to a landfill or waste combustion facility, resulting in avoidable and excessive greenhouse gas (GHG) emissions. Every day I spend on the road makes an impact! 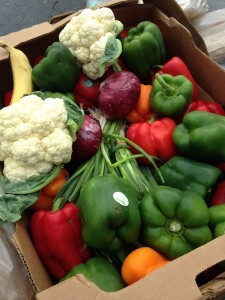 Look at that beautiful produce! Who would want to throw that in a dumpster? I decided to look into some of the details of the environmental benefits of food rescue and want to share my results with you! I used an average day on the road to glean some fun facts. Hi Latoya! This is the truck I drive. This particular day I stopped at seven of our vender locations to make collections and hauled a total of 1,084 pounds of fresh fruits, vegetables, and other produce and an additional 195 pounds of fresh breads. 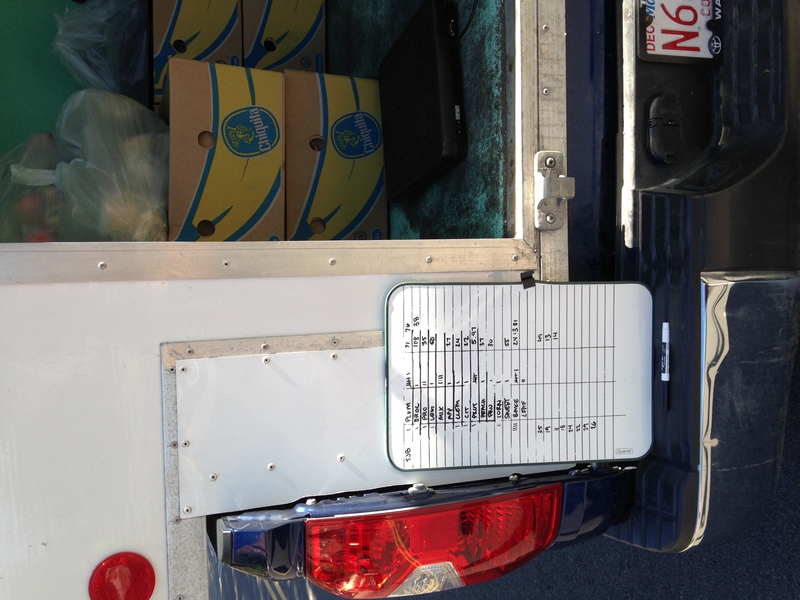 Thanks to the EPA Waste Reduction Model (WARM) I learned some great things about my ONE day on the road. My small effort deferred 1 Ton of CO2 equivalent Greenhouse Gas emissions; comparable amounts incurred from burning 78 gallons of gasoline. I also helped save 3 million British thermal units of energy; the same as using 26 gallons of gasoline. 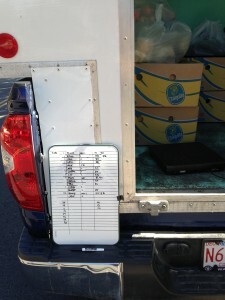 That’s a total of 104 gallons – and I drive our smallest capacity truck! Four Trucks on the road five days of the week adds up to some pretty amazing benefits for the environment. Happy apple season! 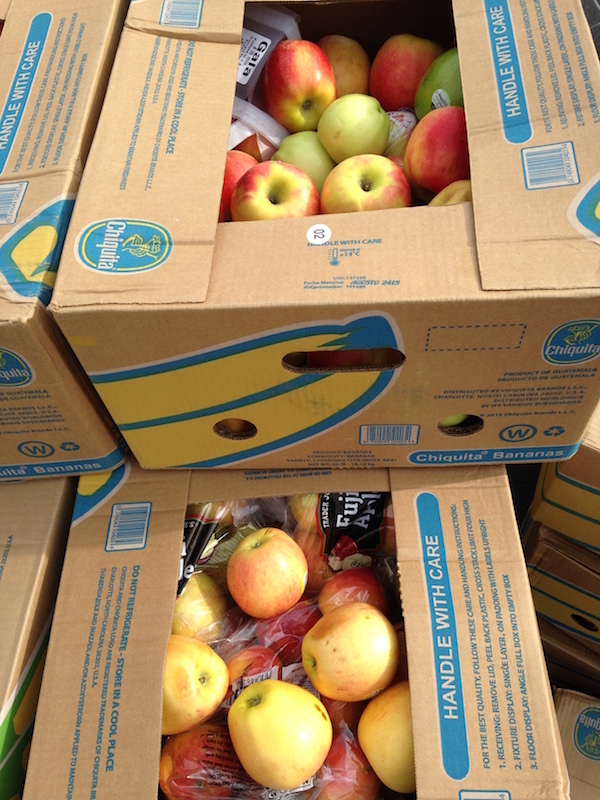 These boxes of apples will find a home much better than the landfill now.